When I saw this film clip of the recent stunt in which Banksy, who’s doing a much-hyped artist’s residency on the streets of New York this month and whose name is being tooted and trumpeted by every loud voice, set up a stall in Central Park and sold authentic, signed spray art canvasses (which could sell for a very, very pretty penny) for $60 a pop and netted only $420, when I saw this film clip, all my feelings of delight and outrage were eclipsed by one thought: This is a perfect story to describe the vagaries of the art world; this is the parable of the contemporary artist. At first, I thought the story went something like this: Once upon a fine day in the park, the crowds skip past by a little stand displaying an array of paintings. The people stroll by without stopping or even turning their heads to look or speak to the man selling the stuff, a man who isn’t young or hip or wearing artsy tattoos or fancy facial hair or paint-spattered black, no, he’s just a regular old man a sweater vest and a baseball cap munching a sandwich while they walk, dismissively, briskly, toward a tonier part of town where they’ll find those same canvasses hanging behind glass on broad, flat expanses of flawless white, those same canvases touting prices (but no tags, they’re too special for price tags) adding up to more than a million dollars, and they will linger and ogle and drool, thinking if only I could afford to buy just one, I’d hang this fabulousness over my mantelpiece so everyone could admire my excellent taste. I went off on a harangue in my head: It’s all in the wrist. If you aren’t represented by a New York agent and haven’t been published in a big print magazine, you’re not worth it. No one will look at you. If you aren’t currently showing in galleries in metropolitan areas, your art isn’t worth the canvas it’s painted on. For a moment I thought the moral of the story was that people are too lazy to think for themselves and so compliant they don’t know what they like unless someone tells them, that people will follow a man in an expensive suit anywhere. They’d feed crack to their kids or stick syringes of liquid plastic into their arms or spend all their money on lawn statues made of industrial waste if the advertising campaign was cool enough. This may all be true, but it also didn’t feel like the whole story. 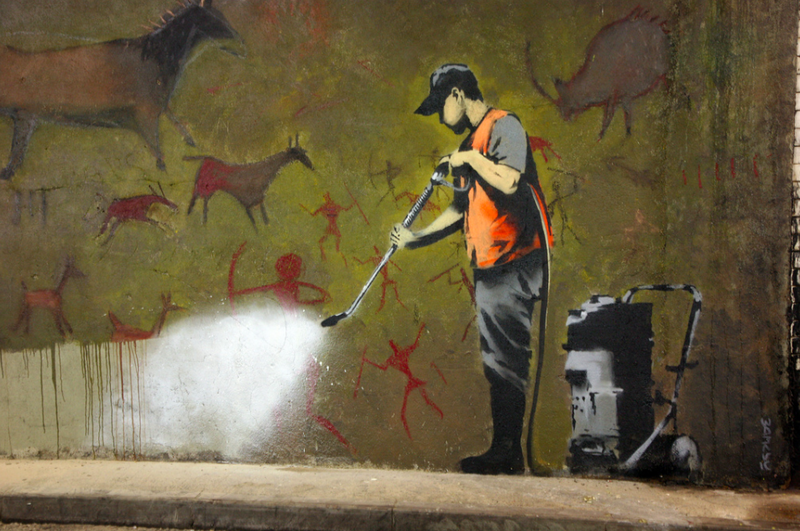 Because Banksy’s art isn’t made for galleries; he’s a street artist who makes art he’s never paid for, who breaks the law to spray his art onto walls. I took a closer look at his work which is amply catalogued by random fans who post photos online because there is no law against photographing graffiti and his art is completely accessible to anyone who wants to see it. I have to admit that the paintings he does on walls are infinitely more interesting than the ones he did on canvas for his stunt, even when he used the same stencils. Banksy on a crumbling wall in an alley is far more charming than Banksy on a white canvas hanging on the wall and if I walked by that stall in Central Park, I’d probably keep right on walking, too, because although I thoroughly enjoy his work, the only kind of Banksy I’d want to own is the one that I found sprayed on my front door one morning. What I take away from this story is that things are changing. Art is happening outside all traditional arenas. Artists and authors, bored with knocking on the doors of the elite clubs, are finding their own places to be. You don’t need to go to a museum or pick up a copy of The New Yorker to do it anymore. Writers are self publishing, painters are taking it to the streets and everyone is promoting themselves online. Amanda Palmer doesn’t need a record label. Amanda Hocking did it for herself. 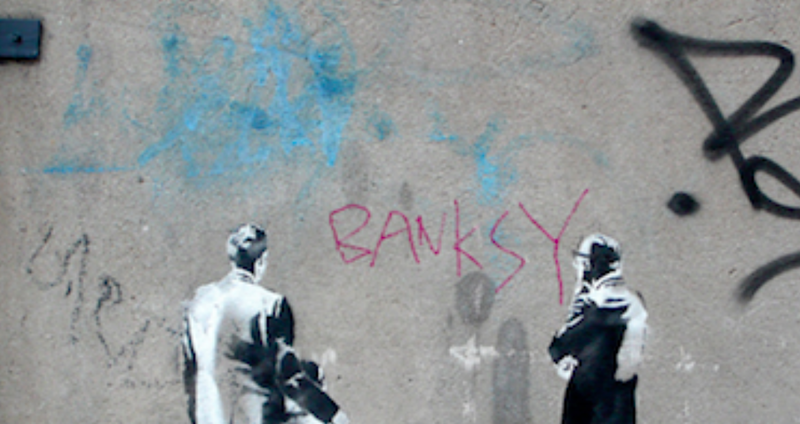 For Banksy, galleries are irrelevant. The money-takers and taste-makers are losing their influence and everyone is starting to think for themselves. This is what I want to think. Because if we weren’t trying to be commercial, what would we say? And if we didn’t have to make art to match the furniture, what would we do? A world of possibility unfolds. How can you participate? You can keep your eyes open and your brain turned on and when you see something that excites you, stop to linger. You can “like” the things that you like, share them with your friends, tell the world. Because liking is like buying, only it doesn’t cost a thing. Because love and money are related and eventually, if we’re all paying attention, artists like Banksy will get what they deserve. Hmm. I think your takeaway is a bit more optimistic than mine. There is such a backlash against artists making and promoting their work through unconventional channels. I can’t speak cogently about visual arts, but writers who have been traditionally published and the houses that publish them are defending the gatekeeper model with a vengeance. They may lose eventually, but how will readers find works that excite them when there is so much available? I hope you’re right that people will participate, that they’ll make the effort. I’d like to believe what you wrote, Anna, but, in reality, there will always be snobs who will try to dictate what is in “good taste” and those who will follow and believe them. Personally, I walk to the beat of a different drummer. For me, only I can dictate what I like and dislike, and I like it like that. Great post. Seems that either I’m naive or reality is much sadder than I imagine. I’m voting for the former and betting against the latter. Hedging my bets? Having been in a place where I had no money, my bet is on love. It sustains and survives without money! I love this post. I’m a pastor and I sense the same thing happening regarding “church”. The institution is losing its grip and seedlings of glory are sprouting up through doctrinal concrete. Well, at least that’s what I’m praying for. Keep writing! The prophetic voice is important. Interesting and funny. Non belief getting organized and institutionalized while there are those because of belief trying to rescue the incarnational love of Christ from the institution, breaking free from the distortion of indoctrination. In order to live better, help more, and wonder often….and to include everyone in that love. Interesting to say the least! Thanks for sharing! I appreciate your writing. Makes me think. I also write. Chewing the Cud at isplainasjane.com. Isn’t it delightful there are all these avenues to express and connect! I had never heard of Banksy. I love what he stands for. As an artist, I understand the whole, “How do you put a price on it,” thing. I hope Banksy keeps surprising us. That’s what we love the most, right? I suspect that the people who bought the pictures are now well chuffed. That is if they have realised what was going on. I hear he’s had a bit of a backlash in some quarters of NY which is a shame. I think it was from a “suit” or two. Check out his film “Exit through the Gift Shop” – unbelievable. It relates very well to your self-promo theme. I hope he comes to the west coast. Hey Bansky, come to Berkeley! Okay, okay, you’re the third person to recommend that, so I guess I really must! but art should also open a dialogue and this ‘stunt’ did just that. i’d call it a success whatever side of the argument you fall on. I’m not disappointed in him or his stunt. I’m saying that maybe he’s not making art to match the furniture, so to speak, and that I feel inspired. Damien Hirst? No thanks. But I really want to see more of your cut paper sculptures. I agree, I believe it. Creativity has never been more democratized. The possibilities are out there for everyone to find some form of personal expression, to draw their painting on the cave wall, and find the paintings of others whose creative voice speaks to them. Rock on, Banksy. Yeah, exactly, I mean you can’t have it all. Democratization ensures equal opportunity, but dilutes the rewards for all but the few mega-talents who manage to cling to the top of the tree. And for me that feels okay. I prefer a participatory environment. The old art is dead. Long live art! I absolutely see what you say, and thanks for making me understand Banksy a little more, but I will always get absolute comfort and joy from museums. There is no sin in offering a home for art. And as for keeping one’s eyes open, yes – it is the purest form of artistic participation and appreciation. I see art in nature constantly; its aesthetics surround me every day. I’m so late to the game on responding to this post. It’s great by the way. Mark Twain self published, so did Walt Whitman, John Grisham, Beatrix Potter, George Bernard Shaw, e.e. cummings, Tom Clancy… Banksy’s art represents something though, he’s earned potential buyers interests because of that plus…. it’s cool. Watch Exit Through the GiftShop. GREAT Documentary. I’d love to be recognized as a writer, artist, actress… but I have to make sure that my art is unique. It’s my responsibility to make that happens. Just because I write something doesn’t mean it’s automatically worth publishing. There’s a fine line between arrogance and art. Maybe that’s where the suits come in. They’ve just gotten so damn controlling. anything. The artists gives their art, its up to you to decide what to do with it. Every time I post something I feel that I’m on a shelf and I’m waiting for you to notice me, to pay the small price, and take me home. I hope you don’t regret your purchase. 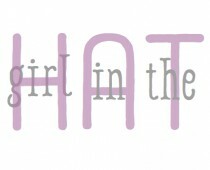 Love the film Girl in the Hat! Aren’t you clever? 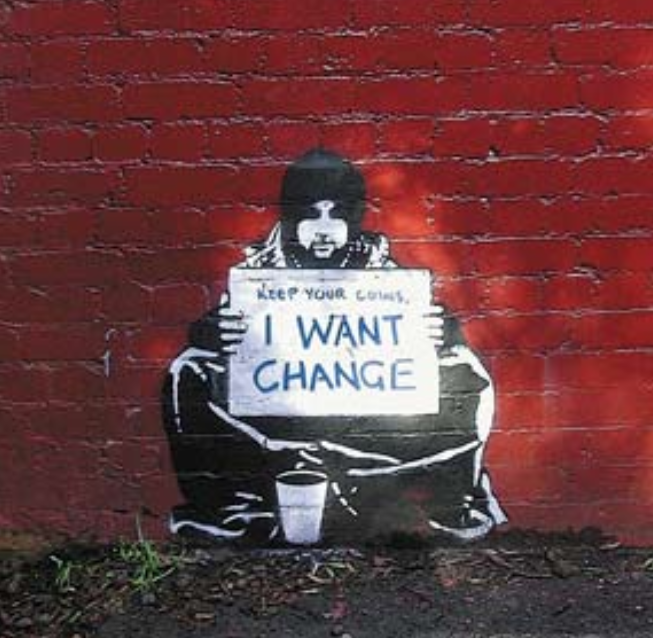 The thing about artists like Banksy is that the statement is the art. Cash has just got in the way. Most of his art lasts mere minutes before it gets trashed. The only people who want to pay big bucks for art nowadays are just gangsters, money-launderers. When I went to his Dismaland in Weston SuperMare they sold keys to open glass billboards and explained how to replace it with your own artwork. “We see all this offensive advertising in our face. 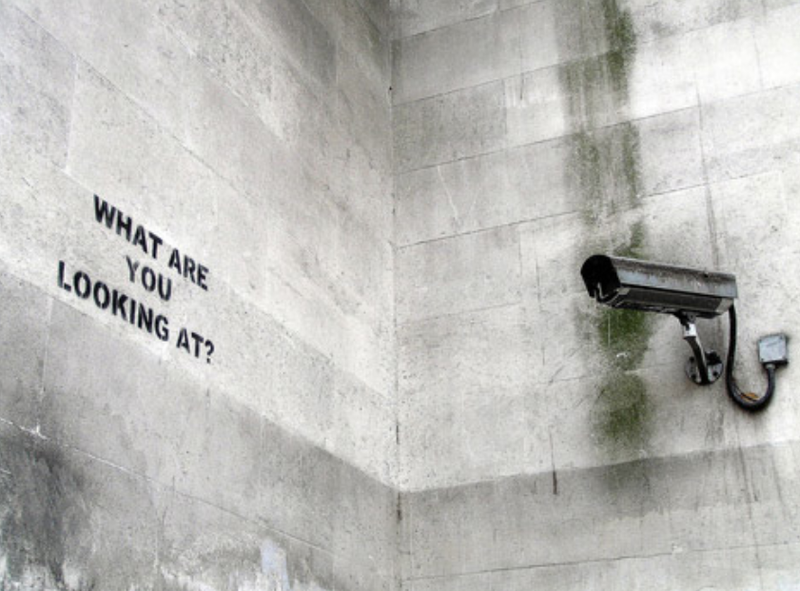 Who decides what we should see on our streets/” – is the main message.